Sonoma/Napa County line. The winery building features a rich exterior finish of sandstone brickwork and a slate roof. Vineyard 7 & 8 refer to the Estate Cabernet vineyard, Vineyard 7, and the Reserve Chardonnay vineyard, Vineyard 8. The winery, established in 1999, has produced a number of award-winning Cabernets and Chardonnays from the Spring Mountain region. LeDuc & Dexter was chosen as the plumbing contractor for the project and they showcased their diverse talents and services including industrial piping, drainage, hydronics for heating and cooling and installation of hose stations throughout the winery. 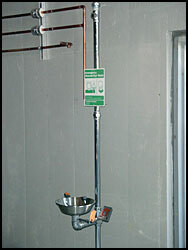 LeDuc & Dexter also installed the utilities for the wave caves and a grease interceptor for the hospitality area. “The winery is situated on a tricky hillside location,” says Bill Zeeb, Commercial and Hydronic Manager for LeDuc & Dexter, both of his departments worked together on the project. 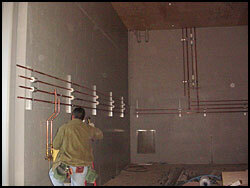 LeDuc & Dexter installed two mechanical rooms for the winery. 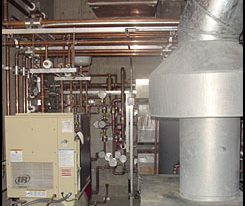 The larger mechanical room features a maze of copper piping with numerous gauges to monitor the boiler, expansion tank and indirect hot water holding tank used for industrial hot water, a built-in heat exchanger used for domestic hot water and two Munchkin boilers for hydronic heating and cooling. This mechanical room also has an air compressor to supply air lines throughout the winery. The smaller mechanical room’s heat exchanger controls the air conditioning for the winery with overhead air handlers in the closed loop system. 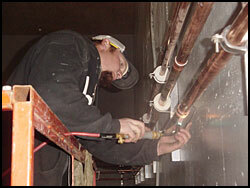 For people that say winemaking is complicated and precise, perhaps the same could be said for winery plumbing. 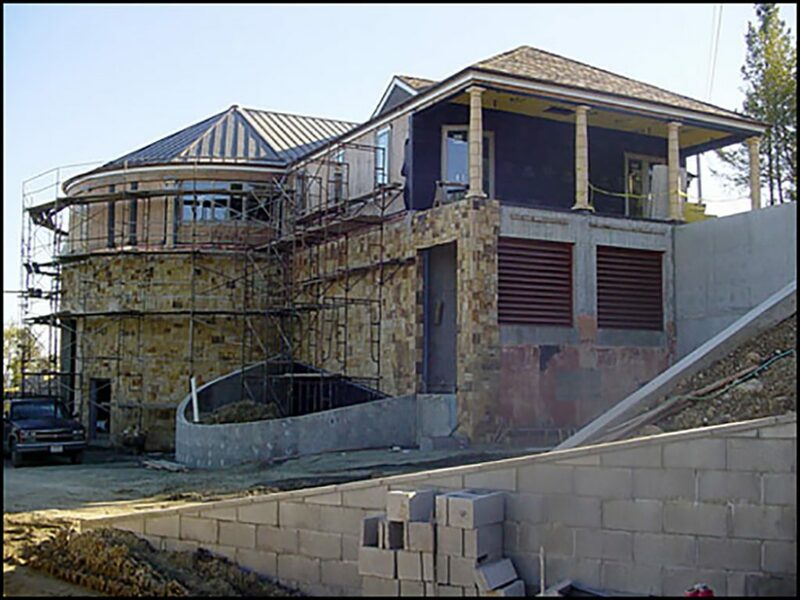 In order to remodel and build the new addition, the old structure had to be gutted out. Overall, the whole building basically went through a complete renovation and has become a completely different destination. Our team at LeDuc and Dexter is proud to have worked on this project and shown our diverse set of skills and abilities.